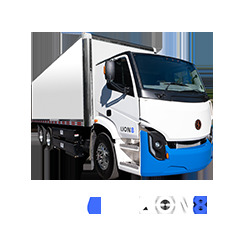 Lion’s innovative body and chassis design, is offering the lowest total cost of ownership and the longest life. 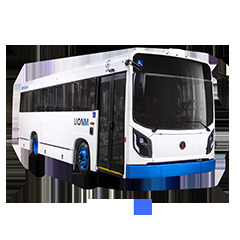 Lion buses are fully corrosion-proof, thanks to the thoughtful use and optimal integration of composite into the vehicle’s design, the one-piece roof, side panels, front and rear masks, hood and emergency door. 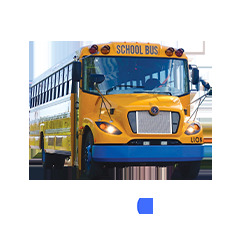 With fewer joints and rivets, the result is a completely leak-free bus body. 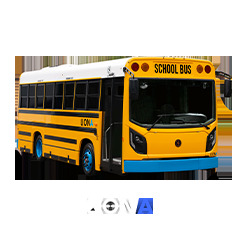 Lion alone offers a 102" wide body, an exclusive feature that allows for a 50% wider center aisle and the installation of 3-point safety belts with no loss in passenger capacity. The use of polyethylene and Lion’s unique design for the stepwell, wheelhouses and battery box provide unprecedented durability and significantly reduce annual maintenance costs. Optimal integration of the body with the chassis provides more space for passengers to enter the vehicle and unparalleled driver comfort. Lion’s driver station has been streamlined and adapted to today’s driver needs. The integrated wastebasket is just one small example of the improved driver environment. 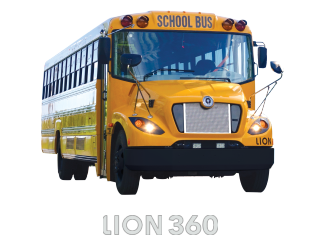 Lion is the only manufacturer of a chassis custom-built for school transportation. Optimized component placement makes for easier access and less maintenance time. All options designed by Lion go through a thorough material evaluation process to ensure components are durable and reliable. Lion’s polyethylene luggage compartments provide unparalleled durability. Lion strives to select the best components available to ensure maximum reliability. The Cummins engine and Allison transmission are good examples of major components selected by Lion. You want this bus in a commercial version, no worries!